Have you wondered what it would be like to plan, design and build machines, buildings, or the next generation of medical equipment? Or perhaps you're interested in developing solutions to environmental problems. If so, consider a rewarding career in engineering. When you start an educational journey toward a high-paying, high-demand career in engineering with UW-Superior, you're given a supportive environment where you can learn math, physics and the sciences at an advantage. Our instructors and facilities will give you a solid base of knowledge in Pre-Engineering with your Associate of Science degree. Learn the math and science skills you need to succeed. Complete your core course requirements for transferring to another institution to pursue an engineering degree. Work closely with an advisor to create a learning plan designed to transfer into the engineering program of your choice. 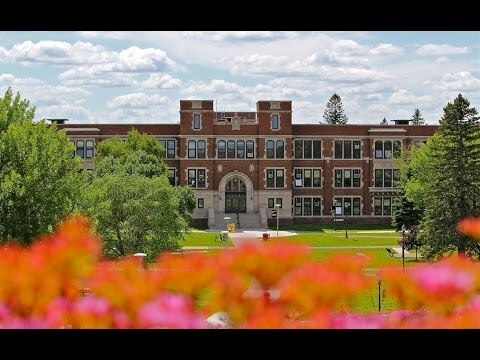 UW-Superior students go on to pursue engineering degrees at many institutions including UW-Madison, University of Minnesota-Twin Cities, University of Minnesota-Duluth, Michigan Tech and North Dakota State University. I appreciate all of the help I’ve gotten. If you put in the work, the instructors are always there for you. Read more. I have the ability to work full time and take classes full time as well. The flexibility has allowed me to utilize my time and graduate on schedule. Read more.